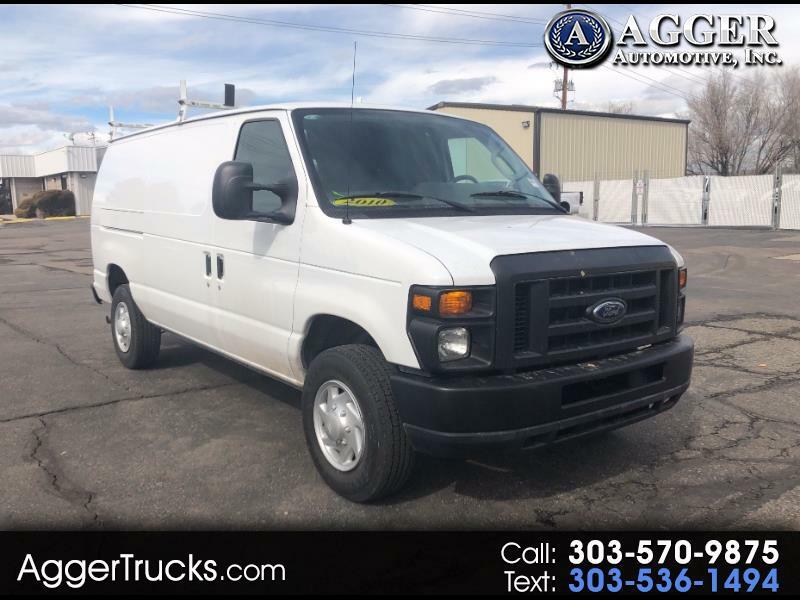 Used 2010 Ford Econoline Cargo Van E-350 Super Duty Recreational for Sale in Denver Commercial Truck CO 80110 Agger Automotive Inc.
For sale is this 2010 Ford E350 Cargo Van. This is a one owner vehicle from the GSA in San Antonio, TX. This cargo van comes equipped with brand new front rotors, 2 doors, sliding side door, door between cab and rear of the van, 5.4L V8 gas engine, standard cargo van racks and bins, quality Firestone tires, and a clean title. Clean, one owner commercial vehicles are difficult to acquire, but with over 9 years of experience, we know where to look for quality trucks for your business. We primarily offer one owner commercial vehicles from the US Government, well funded municipalities, and Fortune 500 companies. For our out of town customers, we can assist you with discounted shipping and delivery quotes, as well as FREE pick up from Denver International Airport. This cargo van has been fully serviced, with service records provided upon request. We supply 4x4, 4WD, 4x2, 2WD, RWD gas and diesel Trucks (5.4L, 6.0L, 6.7L, 6.8L, 7.3L, 8.0L) with an emphasis on 3/4 to 1 ton Bucket Boom, Service/Utility, Dump, Pick Up & Crane Trucks, as well as Cargo Vans. All Vehicles are one owners from Fortune 500, US Government, or Local Municipalities. We supply F150, F250, F350, F450, F550, F650, 1500, 2500, and 3500s. We do not offer warranty on any of our vehicles. No dealer prep and handling fees. You only pay the price of the vehicle and sales tax. Message: Thought you might be interested in this 2010 Ford Econoline Cargo Van.